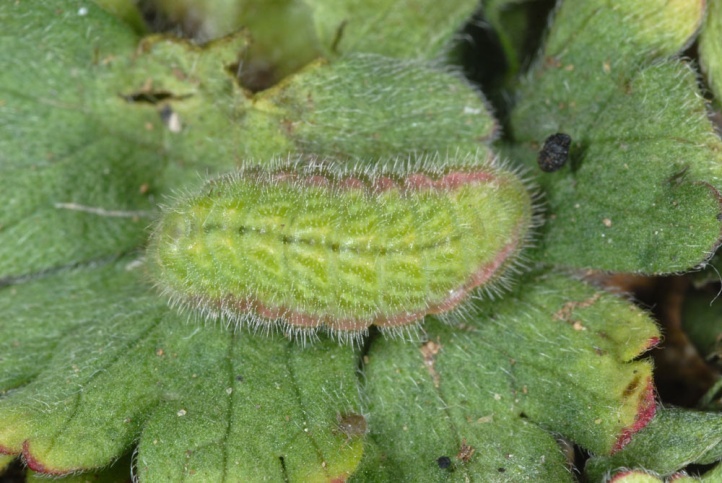 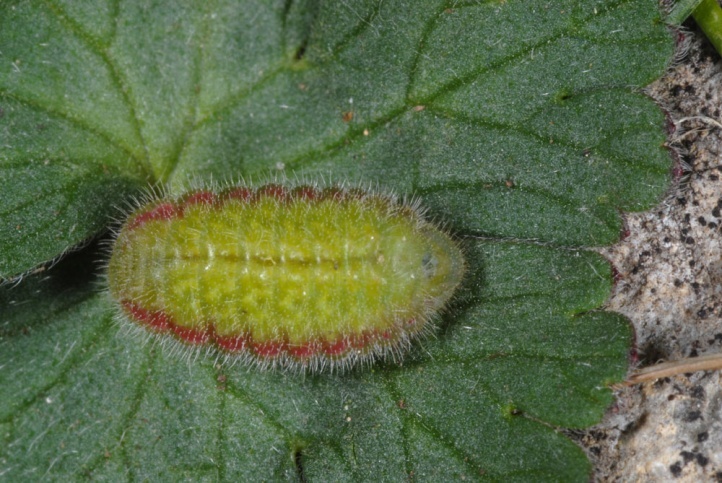 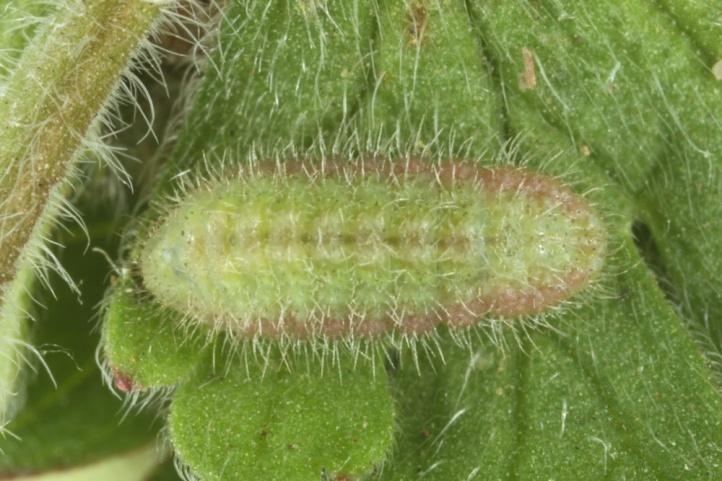 The caterpillars feed on Cistaceae and Geraniaceae (Helianthemum nummularium, Geranium species, Erodium species). 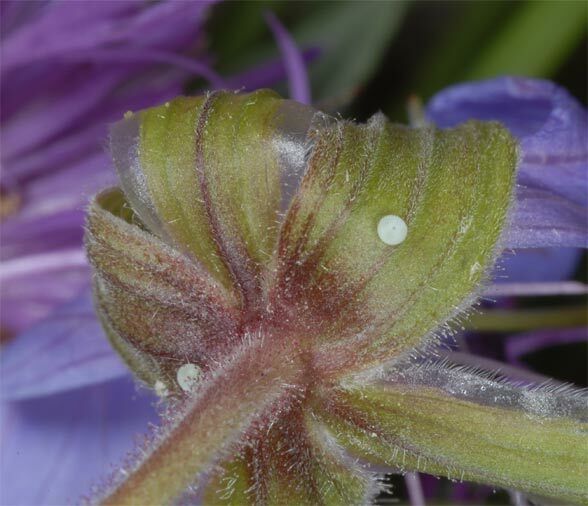 I found eggs for example, in the Swabian Jura on Helianthemum and also on flower buds of Geranium pratense in some decimeter above ground. 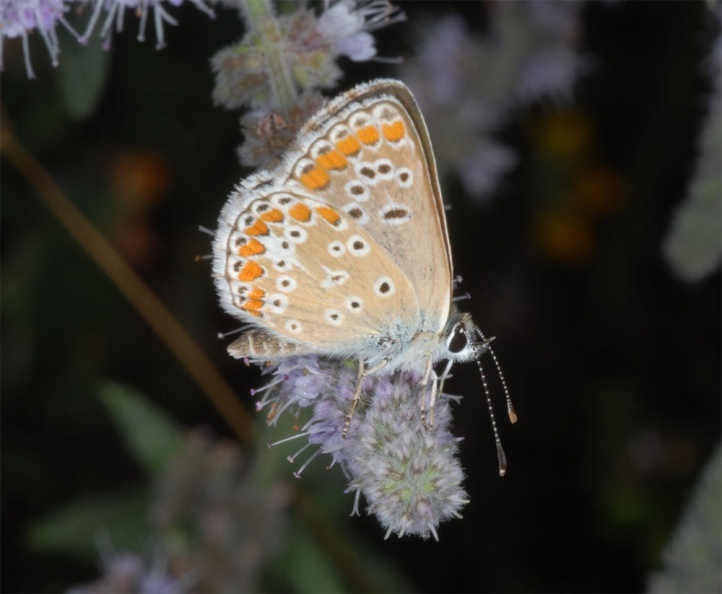 Polyommatus agestis colonizes extesively managed open country like sand dunes and limestone grasslands. 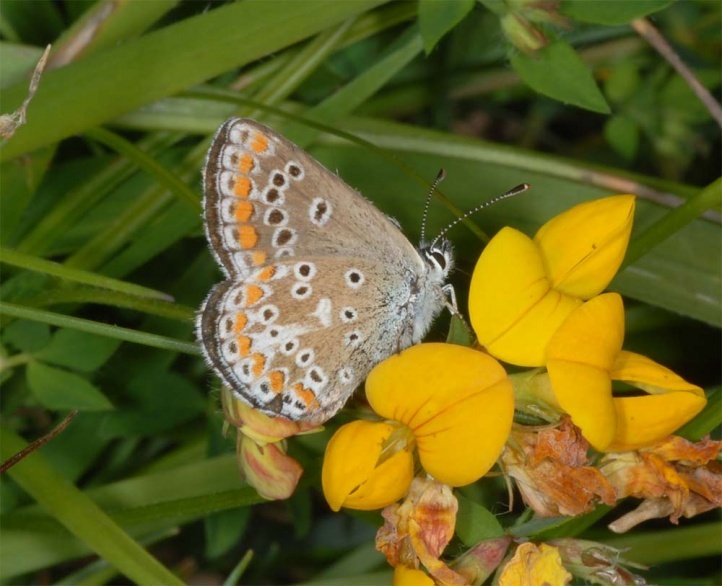 It occurs particularly steadily in calcareous grasslands with Helianthemum. 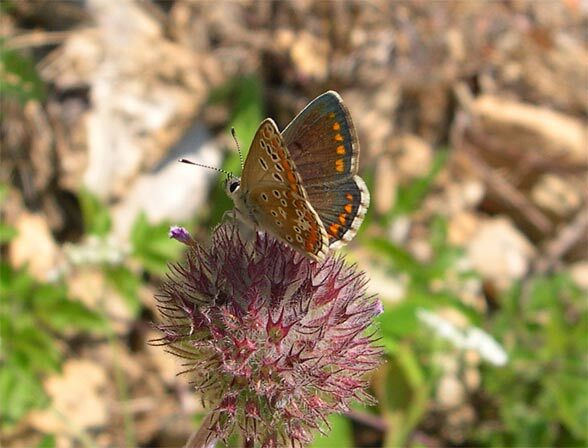 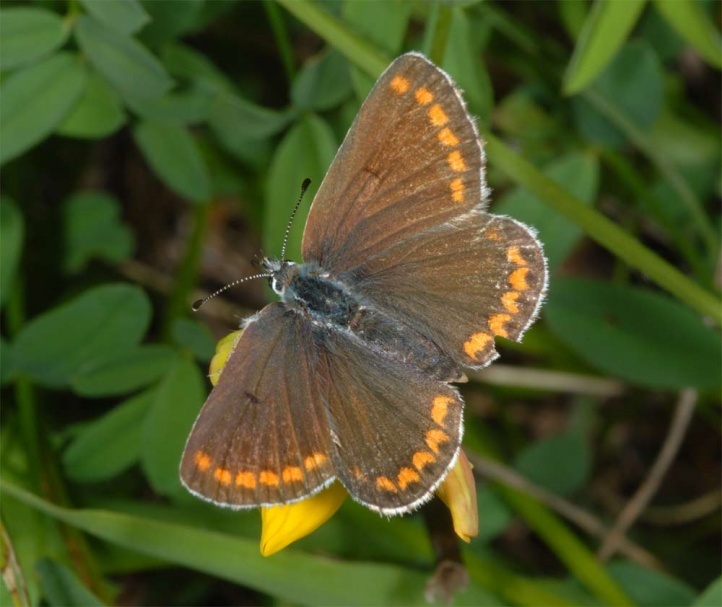 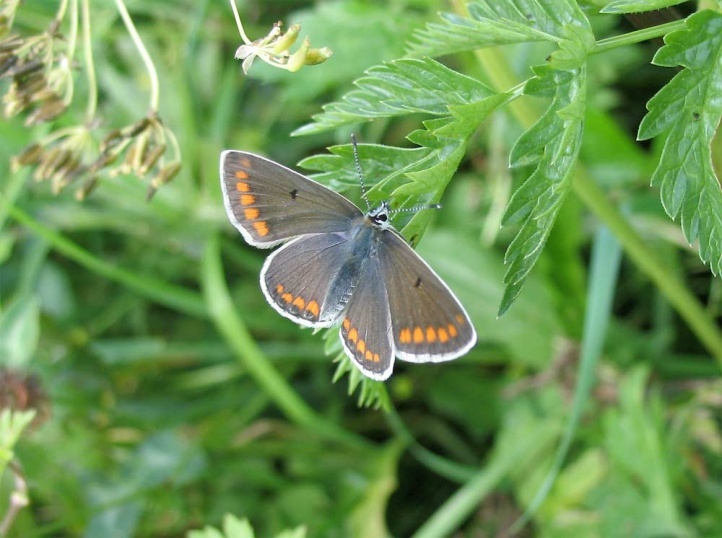 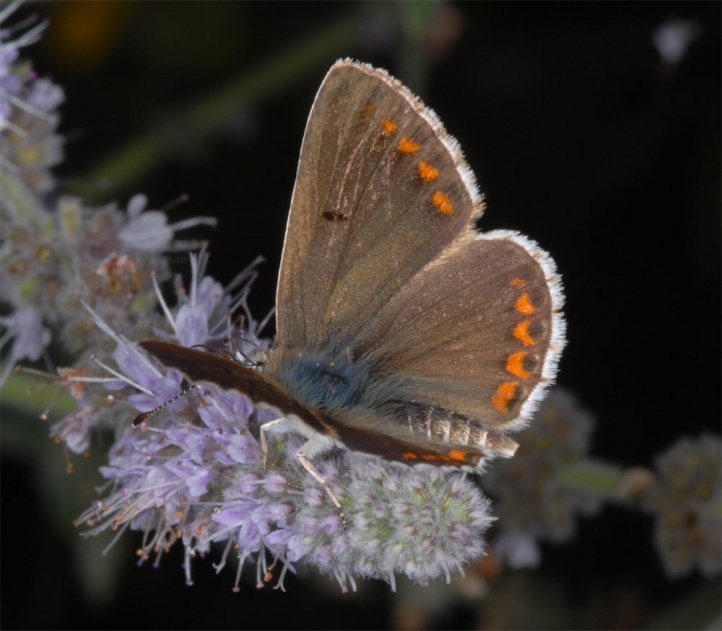 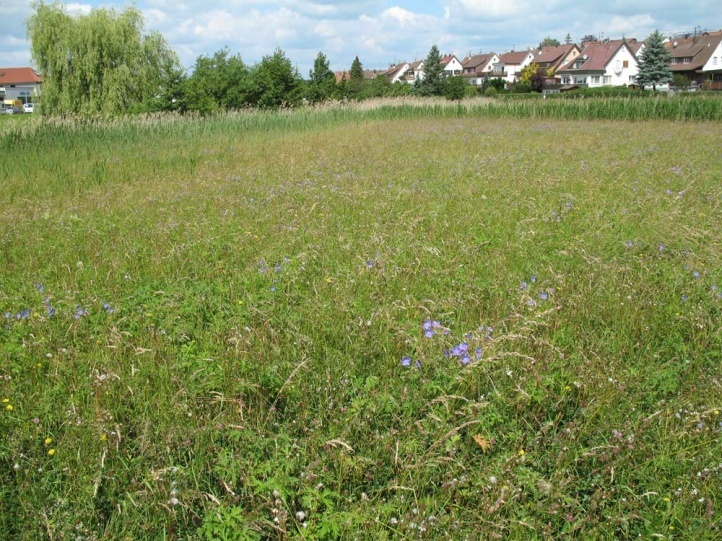 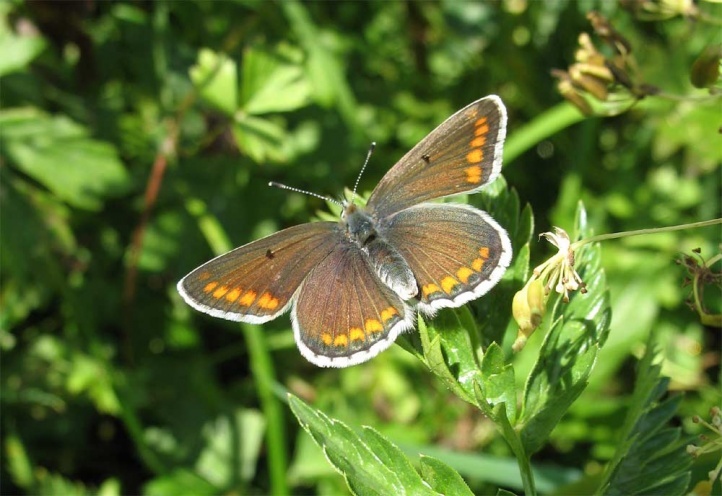 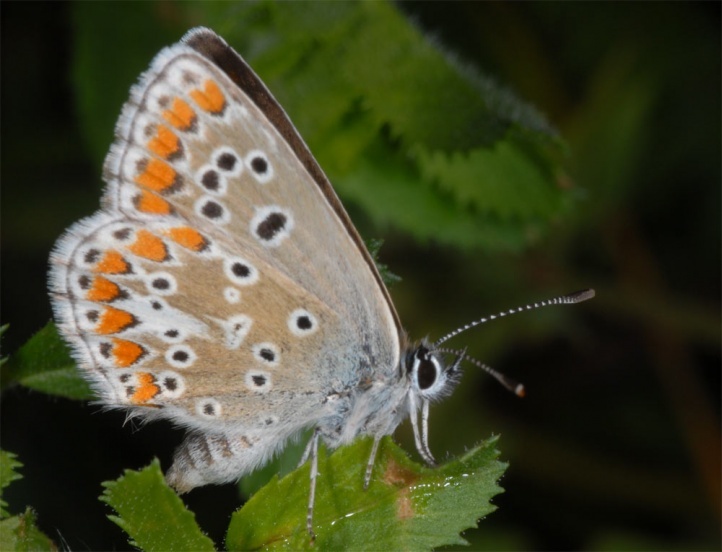 Polyommatus agestis also flies in not too nutrient-rich, warm lowland meadows with the occurrence of Geranium pratense that are cut twice per year. 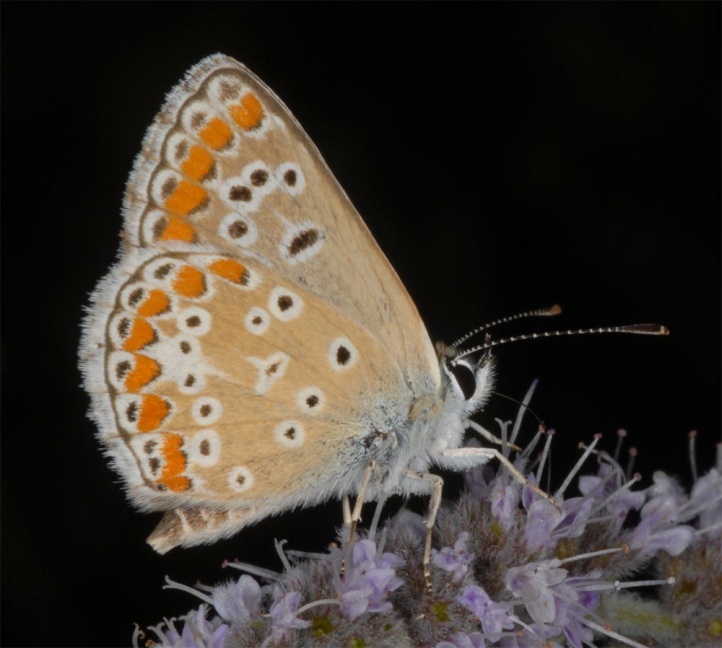 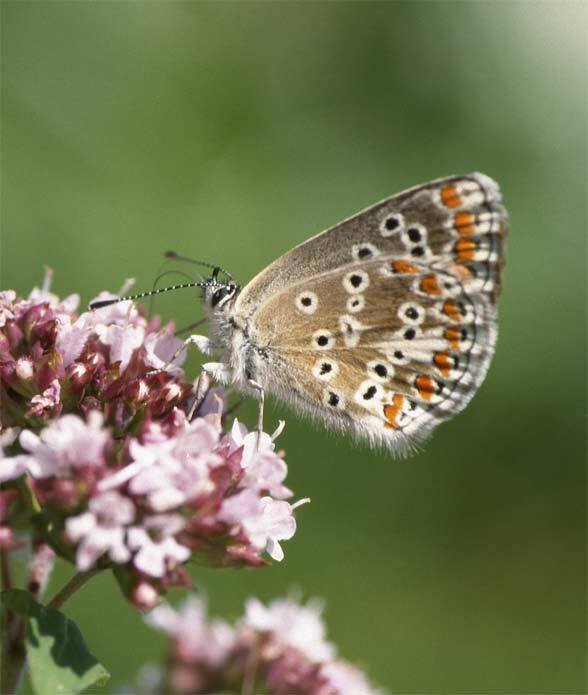 In Central Europe Polyommatus agestis is found mainly in the lowlands up to about 600m above sea level and rises hardly higher than to 1000m above sea level. 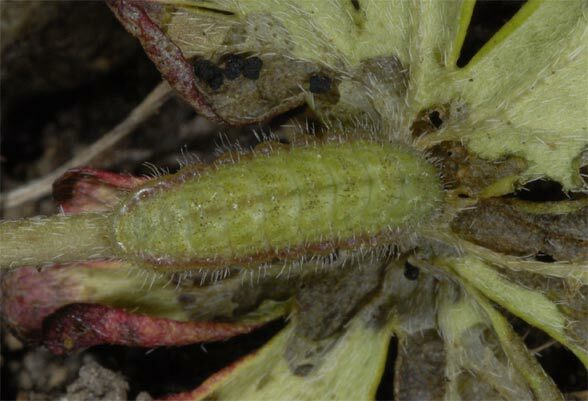 At higher elevations this species is usually substituted by the taxon artaxerxes (semi-species?). 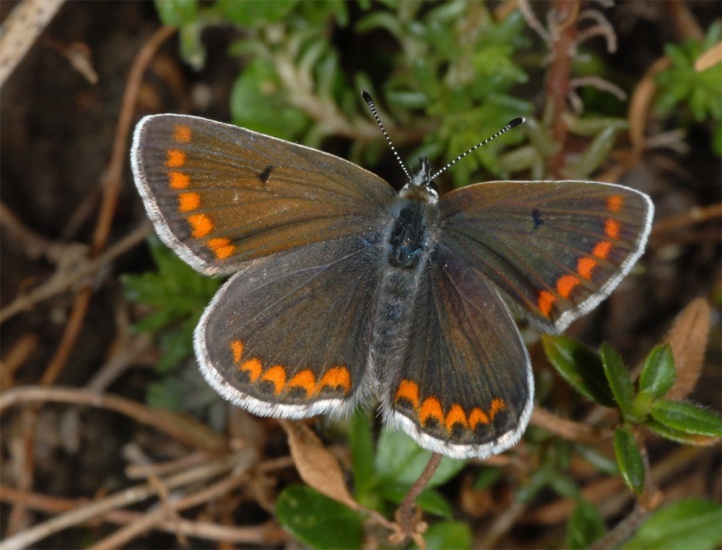 The adults fly in two or three generations from late April/May to October. 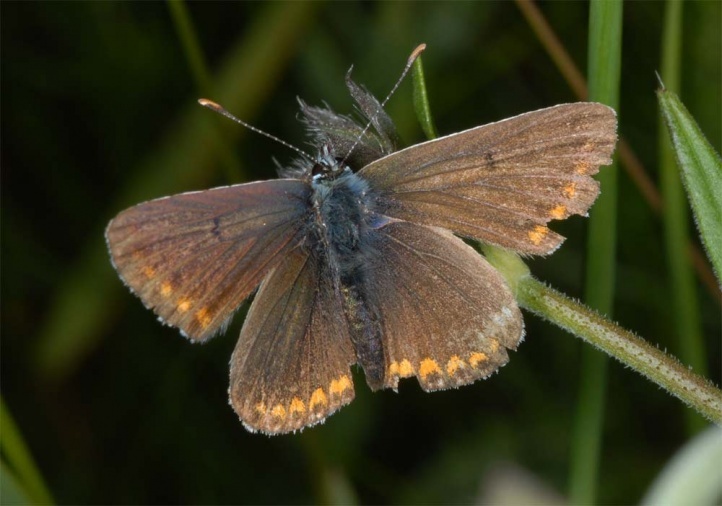 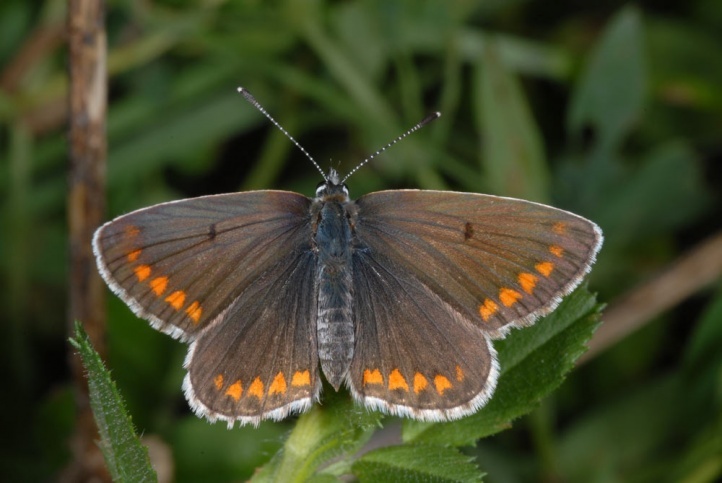 In Central Europe they are most common between late May and late June and again from late July to early September. 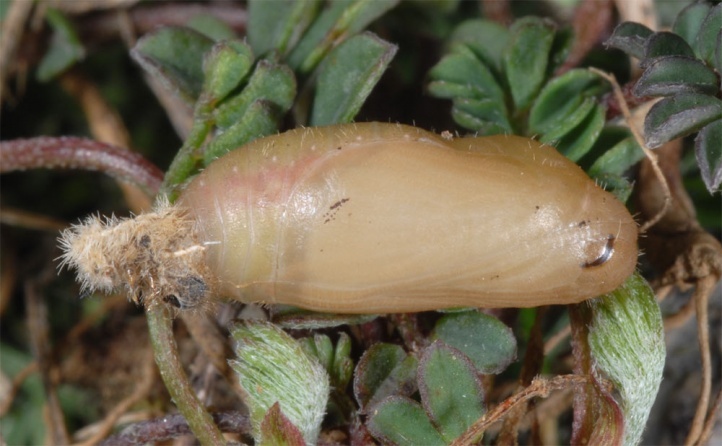 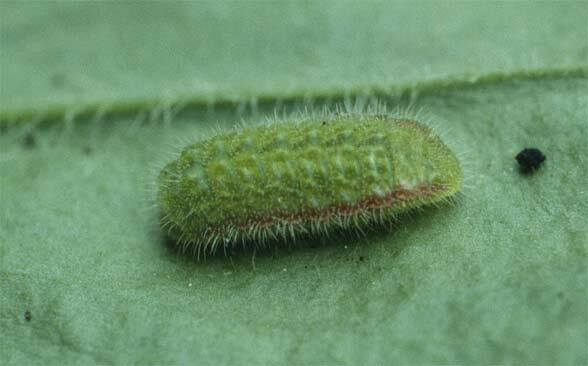 The caterpillar overwinters and is mature in April or early May (observed on the eastern Swabian Alb in about 500m above sea level). 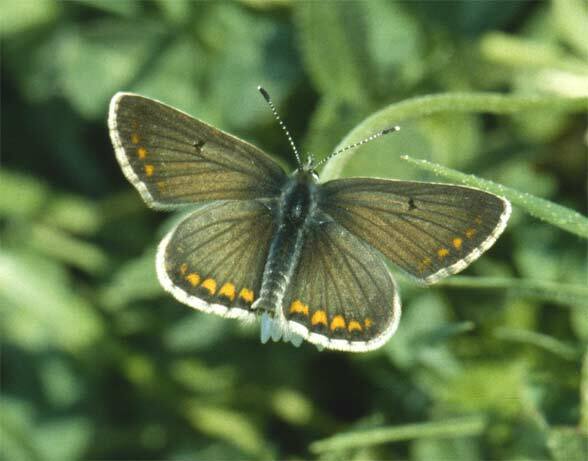 Polyommatus agestis is only little endangered, even if it is locally in decline due to the usual damage factors (intensive agriculture, succession, overbuilding). 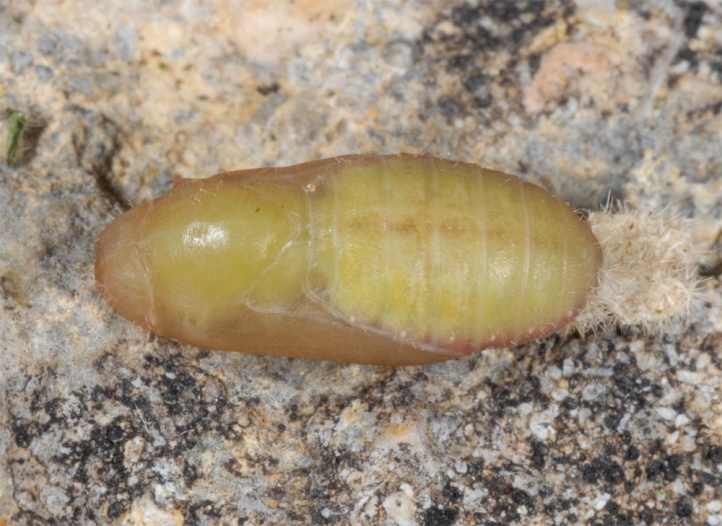 The distinction from the taxon artaxerxes is not always easy. 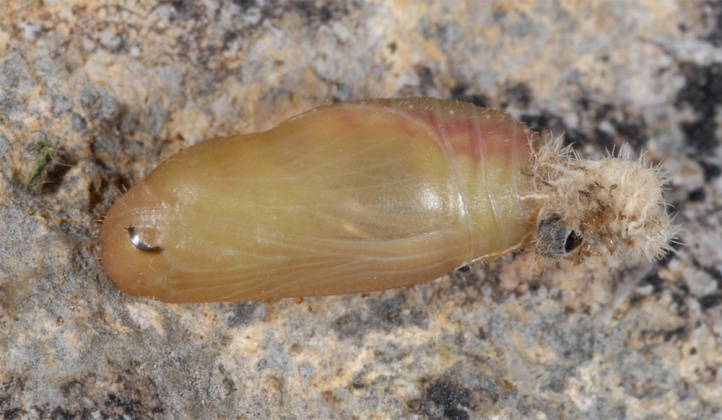 Both species are probably not yet completely separated. 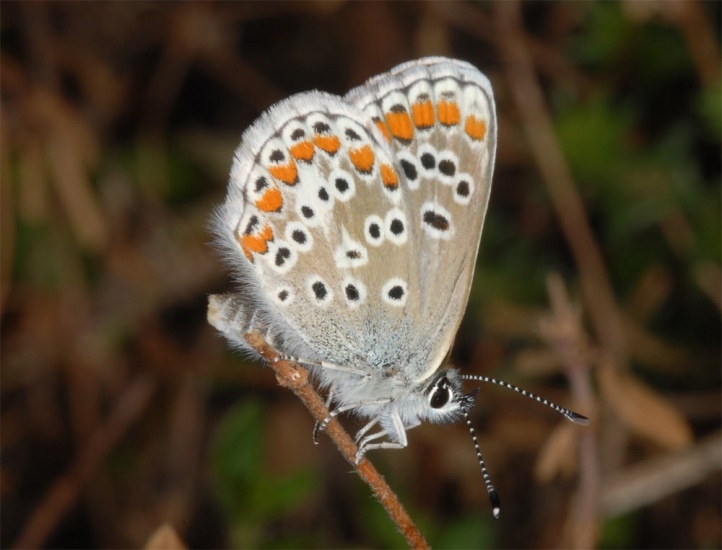 Polyommatus agestis occurs from north Africa across Southern and Central Europe, Turkey and parts of Asia to the Amur region.